As a pharmacy technician, you’ll directly impact patients’ health through your service at community and hospital pharmacies. Your primary responsibilities will include preparing medications for dispensing and guiding patients through the prescription process while maintaining the highest level of customer service. While a licensed pharmacist will guide and closely monitor your actions, you should develop an eye for detail and effective communication skills. You’ll also learn to work independently to calculate dosages, provide service within the confines of state laws, and complete administrative procedures, such as maintaining customer records and managing inventory. The South Carolina Board of Pharmacy requires pharmacy technicians to register with the Board before providing services in nursing homes, hospitals, correctional facilities, community pharmacies and other licensed facilities. 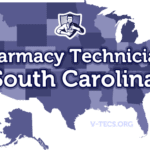 In South Carolina, it is unlawful for pharmacy technicians, not registered with the Board of Pharmacy, to perform the functions of a registered technician at licensed pharmacies. Therefore, you must meet all the requirements for licensure and receive confirmation of a successful registration from the Board before you begin offering pharmacy technician services for compensation. Pharmacy technician students enrolled in accredited training programs can work in the pharmacy, under the direction of a licensed pharmacist, for the purposes of practical training. The pharmacy technician student must wear proper identification indicating his or her student status. Registered pharmacy technicians must display their status in the pharmacy outlet where they’re employed – it should be displayed in a place that’s easily observed by the public. Once the Board approves your application for registration, it is your responsibility to complete the continuing pharmacy education requirements and report your employment/ changes in employment to the board to maintain state registration. Applicants must be at least 18 years old to register as a pharmacy technician in South Carolina. As part of your preparation for the Board of Pharmacy registration, you must complete a minimum of one thousand hours of experiential training in a retail or hospital pharmacy. During the experiential training period, you will provide services under the supervision of a licensed pharmacist. This training could take place as part of an ASHP accredited pharmacy technician training program. The PTCB requires candidates to pass a criminal background check as a requirement for certification. Felonies and misdemeanors could affect your chances of CPhT certification and your eventual registration with the SC Board of Pharmacy. In order to save time, effort and money, you should enroll in ASHP accredited programs only. South Carolina’s Code of Laws requires pharmacy technicians to complete a formal academic training program as a prerequisite to registration. While there are numerous programs across the state recruiting new students, the Board approves programs accredited by the Amercian Society of Health-System Pharmacists (ASHP) only. A list of those programs is available below. Completion of ASHP accredited programs leads to a diploma or certificate after students learn essential topics, such as pharmacy calculations, pharmacy operations, pharmacology, anatomy and physiology and prescription drugs. Students also learn pharmacy law and ethics, drug distribution systems, medical terminology, aseptic technique, inventory control, communications, and partake in experiential training at a community or hospital pharmacy. Tuition at ASHP accredited pharmacy technician programs in South Carolina cost an average of $6,500. Apart from tuition, prospective students must budget for additional expenses, such as textbooks, workbooks, registration fees, national certification, uniform, background check, immunization, and insurance. On average, full-time students can complete training in four months while part-time students can expect to complete the classroom training requirements and externship in 6 to 8 months. 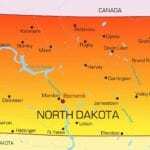 Have no denial or suspension of a pharmacy technician license in any state. Apply for the test online and pay the $129 application fee using a credit card or check. The Board will issue a paper application under extreme circumstances; you can request the paper application by writing the Board and providing details of your disability or hardship. Once the Board approves the application, you’re eligible to schedule a date for the PTCE exam within the 90-day authorization period. Submit your application for Board registration only after you’ve met all the requirements. The Board will verify your information and process the application within 30 days. They’ll mail your registration and wallet card within 3-4 weeks of issue. Following are the steps for state licensure. Complete the Affidavit of Eligibility included with the application. Provide copies of your social security card and your driver’s license or DMV ID. Include a check or money order in the amount of $40 for the application fee. Once the Board approves your application, you must notify them in writing when you begin or change employment. Once administered, your registration will remain valid until June thirtieth, and you must renew annually. The Board of Pharmacy will send out a renewal card 45 days before the expiration. For this reason, it is crucial that you maintain an accurate address with the Board. If your address changes, you should fill out a change of name/address form and submit to the board with the accompanying documents. To renew your license, you must initiate renewal and mail the $15 renewal application fee before the expiration date. You must also complete at least 10 hours of continuing pharmacy education (4 live and 6 home-study or 10 live hours). Failure to renew your registration before July first will cause your registration to lapse, and you must immediately cease working as a pharmacy technician. Use this Lapsed Renewal form and pay $40 to renew your registration within one year of expiration. If you fail to renew your license after more than one year, you need to apply for reinstatement of your registration, pay the $40 penalty fee, and provide proof of 20 hours of continuing pharmacy education. 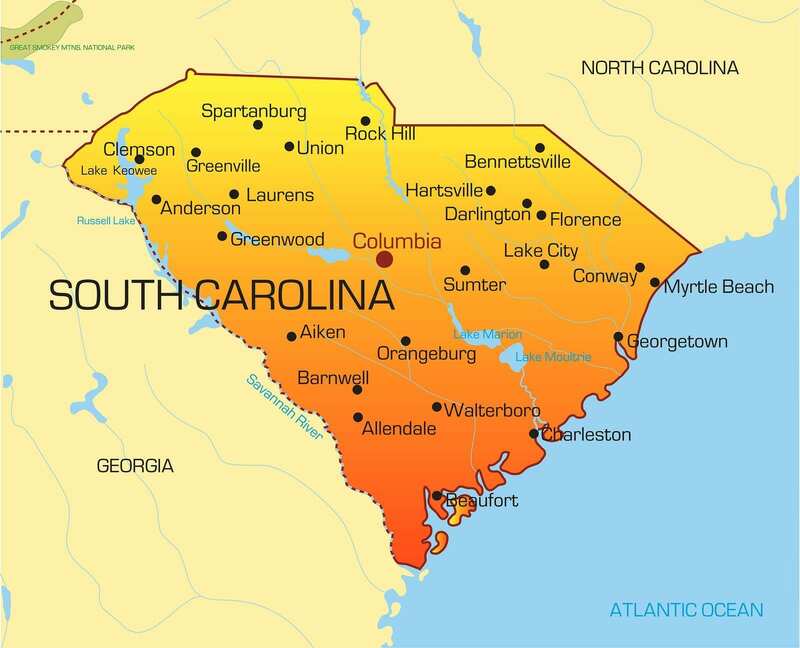 As an out-of-state pharmacy technician, you can apply to the Board of Pharmacy to transfer your registration to South Carolina if the requirements for certification in your home state are equivalent to the registration requirements in South Carolina. The Board will request a criminal background check report and proof of PTCB certification with the application for registration.